Well, I've been saying I would get to it and I finally did. I was looking for a quick read and pulled Anna and the King off my shelf. In some ways it was like the movie and in most ways it wasn't. (The name of Anna was the same, she goes to Siam and other extreme generalities.) I didn't even realize that this was a book until recently when I stumbled across a copy at Goodwill. Now that I've read it, I heartily recommend it to everyone. Anna and the King is based on the true story of Anna Leonowens who went to work as a teacher at the Siamese palace from 1862 to 1867. King Mongkut hired her out of a desire to educate his children in the ways of the Western world. Anna's influence had far reaching effects as Mongkut's son who studied under her made radical changes in Siam (now Thailand) based on principles she taught him, especially those dealing with the issue of slavery. It goes to show the power that a woman wields when she tackles the "mundane" and uses her time and influence investing in lives of children. Not all of us women are in position to influence future kings but we also cannot say what our children or pupils will or will not do with the gifts that God has given them. If we are faithful to our individual callings with our children, families and those placed in our care (in any variety of ways) then I believe we can have the potential to change the world. Anna was a widow which eventually drove her to taking this position in Siam. Taking the job meant a great deal of sacrifice for her and her family. She left her daughter behind in England (and did not see her during the entire stay in Siam) and only took her son along for the experience. I cannot fathom having to choose between my children, deciding who must be left behind and who I would risk taking into a very unknown situation. Contemplating that part of Anna's life story can boggle the mind but leaving her daughter was just the start of her adventures, all of which are mind boggling to varying degrees. 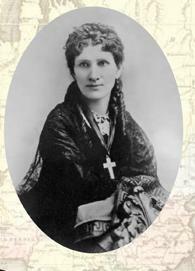 As the movie versions of Anna (accurately) depict, she was very self-assured. I would not say she had quite the feminist tendencies that, I think, Jodie Foster gave in her portrayal. Rather, I would say that Anna was an Englishwoman who knew her rights, had a sense of duty and obligation about her, and a great desire to offer her children support and experiences which she might not have otherwise been able to offer had she stayed in England. From all I can tell in the book, Anna was a very strong Christian woman as well and while she recognized that some of the customs and religious beliefs held in the palace ultimately worked in her benefit, she did not stray from living out her own faith. (Hence there is no romance between her and the king.) I find her story both intriguing and encouraging. She lived a curious life that is worth looking into. Apparently, in 1870 Anna published The English Governess at the Siamese Court (linked to a PDF version of the book!) which was the first of two books that she wrote about her experiences over in Siam. Margaret Landon discovered this book while she was in Siam and she was so enthralled with Anna's story that she decided to combine the two books and present them as one: Anna and the King of Siam . This new book was originally published in 1943 and became a best-seller which, of course, prompted the Broadway musical (and movie), The King and I. The book does have historical value and relevance, but it is also quite entertaining. It easily captivated me and I can't fathom that it would be a "miss" with many of you either. Written like a short story, it allows you easy access to the life experiences that Anna Leonowens had while in Siam and I heartily recommend you giving this one a read. This is one I've never read or seen! Thanks for the review! What a great review, love your insight into the influence we women yield in educating/shaping the next generation. I really need that nudge this morning as I just can't seem to get going. . . (and I so enjoy the musical based on this story, that I'm really tempted to read this book). This one really got my interest one of the other times you've mentioned it. I knew it had mixed reviews, so I was curious what you would think about it. 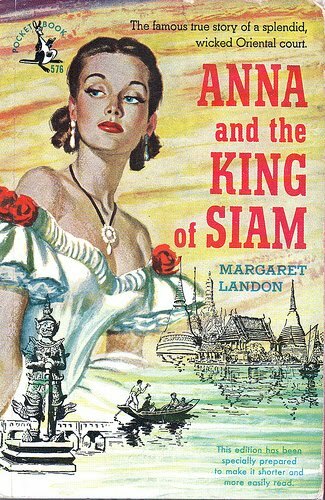 I really enjoyed Anna and the King of Siam when I read a long time ago. What got me interested in the book was the film by the same name with Irene Dunne playing Anna. I enjoyed it better than the musical. Sounds interesting! I've seen the musical, but not the Foster version. This looks interesting! It's been years since I've seen the movie. I'll have to keep my eye out for this. I read this book many years ago and remember liking it a lot. Glad you discovered it. You have the best Goodwill store! Your fabulous finds inspired me to stop at Savers last month. Sadly, nothing but trashy romances.